Man, I love this music. 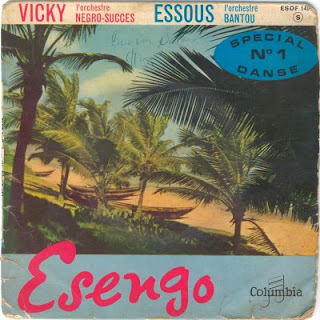 I like rumba and soukous from a lot of eras, but the stuff from the late 50s and early 60s blows me away. I love the sound of the recordings, too. Thanks! Lovely stuff - many thanks. I have 1415 from another source (in lower fidelity), where the track "Una Noche" is listed under the title "Oyeme". I don't know any Lingala, but you can hear the word Oyeme throughout the song. You can hear Una Noche at one point too, though! excelent... is it also possible to load "amadou balake - afro-charanga", pleeeease ? 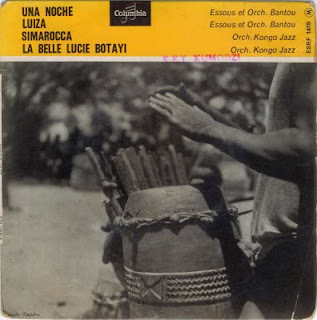 @gracenotes: The Bantou track is also listed as "Una Noche" in the Esengo catalogue I have, so I think it is safe to assume that this is the right title, - despite the spelling mistakes in Raymond Brainck's name ☺. @Roxana27: I am working at it, but there is still a cue....Plus so many other great musical wonders to be discovered and enjoyed. name Ray Braynck (putting his first name within the last name, but that SACEM or Ngoma spoiled by mispelling the last name Braink. anyway thank you, and I look forward to hearing more of his work.